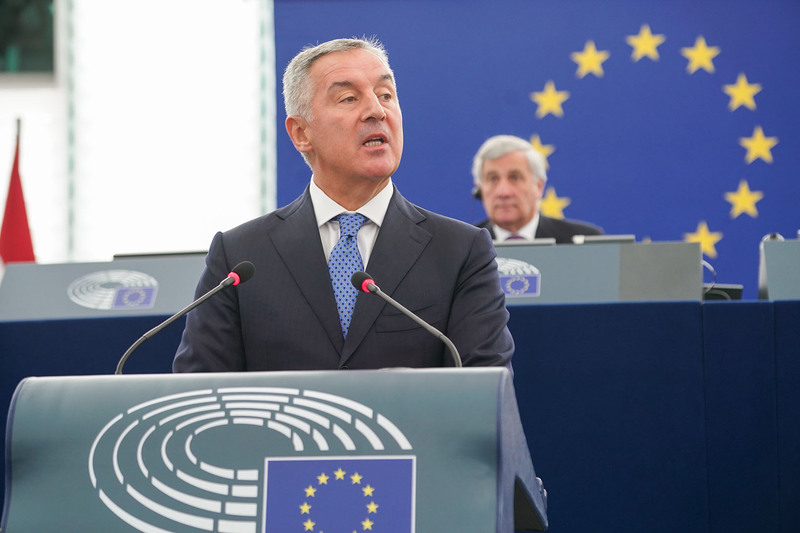 The President of Montenegro, Milo Đukanović, addressed MEPs in a formal sitting on Tuesday. In his speech, Mr Đukanović outlined recent important developments in his country, notably on economic reform, boosting growth and foreign investment, increasing living standards and the progress made in strengthening the rule of law and media freedom. He also referred to Montenegro as in the lead on EU accession, while describing Montenegro’s recently acquired NATO membership as the greatest recognition of the Montenegrin efforts to achieve stable reforms. Montenegro became the 29th member of the military alliance on 5 June 2017. EU accession negotiations with the country began in June 2012. Mr Đukanović also stressed that the EU enlargement process for the Western Balkans countries is not only important for the region, but also for the stability and competiveness of Europe. Watch the video recording with President Đukanović speech again.